WHY WE CO-SIGN: During hard economic times like these it is difficult to spend money on clothes, let alone a piece that you&apos;ll only wear once and still costs your whole pay check. 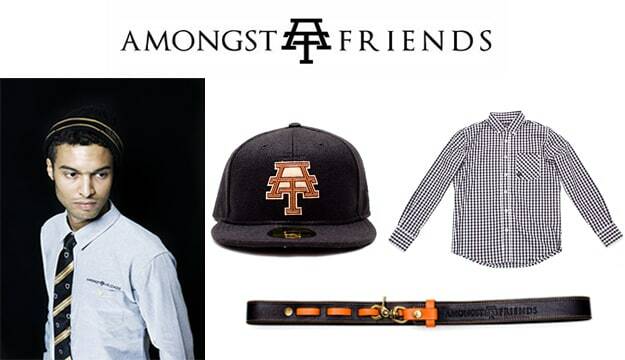 Amongst Friends is perfect for a climate where recession-proof purchases are a must. AF specializes in timeless, lasting pieces that will be sure to be an integral part of your wardrobe for years to come—think of it like the epitome of schoolboy fresh with a dash of Japanese(-style) flair and style-forward detailing. So don&apos;t blow your wad (ayo!) on overpriced &apos;fits—keep it clean and modern and remember that you are Amongst Friends.